Use this resource to help young children learn and respond to God's saving work through His Son, Jesus. Young kids will love story time with this fully animated booklet. Within these pages, they will discover the story of Christ, our creator and our redeemer, along with the life-changing Salvation Poem. The six short lines of The Salvation Poem present the eternal message of God's Perfect Lamb. Children (and adults) who learn this simple rhyme will carry the life-changing message of salvation in their hearts. At any point in life when a person is prompted to turn to God, The Salvation Poem will serve as a sinner's prayer to receive salvation through Jesus Christ. And because it is so easy to learn and hard to forget, The Salvation Poem will serve as a great tool to help Christians feel more comfortable in leading others to Christ. Available in English, Spanish, German, Russian and Italian. This resource is designed in partnership with the authors of The Salvation Poem, Matt and Sherry McPherson. The McPhersons are Christian business owners, songwriters, worship leaders and recording artists. 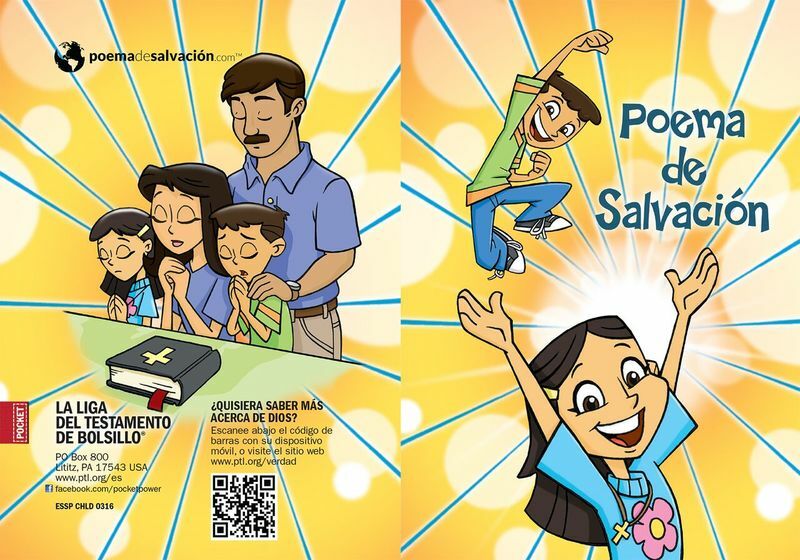 The Salvation Poem has been reprinted more than 30 million times in nearly 30 languages and is quickly becoming a universal tool for evangelism. A QR code on the back provides a quick link to learn more about God. Want to learn how your organization can order custom Gospel covers like this one? Contact us to learn more!